Audio connection lets you share multimedia speakers among two USB computers too! - Use one USB keyboard, monitor and mouse to control two USB computers. 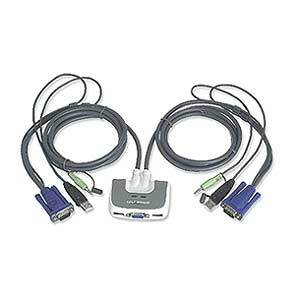 Use your USB peripherals and VGA monitor to work with two USB-equipped PCs.